At Wittmann-Battenfeld’s stand (16D22), KTW will feature the simultaneous production and assembly of a two-part, multifunctional closure for cooking oil bottles. 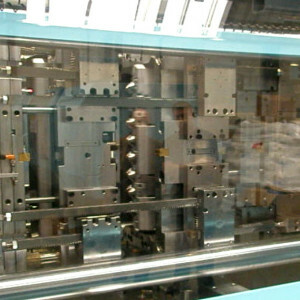 The closure integrates a pulltab to open the spout, and the spout has an integrated flow retarder, as well as a sealing system. The closure consists of the base, molded of white LDPE, and the associated screw cap made of PP. The mold is a 16-by-16-cavity stack mold with three mold-open heights and two spin-stack modules in combination with a Wittmann Battenfeld molding machine.